SACRAMENTO, Calif. (CN) –Weeks after a 28-year-old former U.S. Marine killed 12 people inside a crowded California bar with a semi-automatic pistol, a state lawmaker is hoping to stem future gun violence through taxes. Pointing to a recent study that found gun homicides in California increased from 2014 to 2016 despite the Legislature enacting countless gun control laws during the same stretch, San Francisco Bay Area Assemblyman Marc Levine is calling for a new gun sales tax to boost violence prevention program funding. “California needs to bolster violence prevention initiatives so that they are commensurate with our state’s tough gun laws and as effective as violence prevention programs of other states,” Levine, D-Marin, said in a statement. 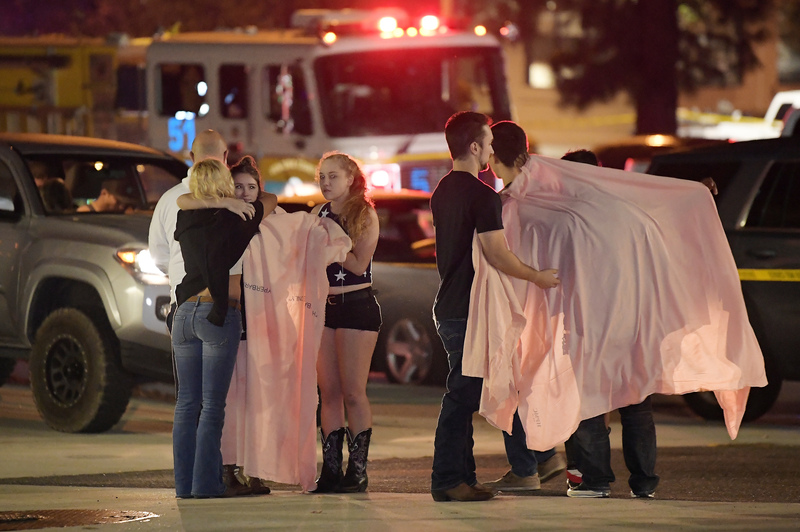 Levine’s proposal, Assembly Bill 18, comes less than a month after a gunman killed a dozen people at a bar in Thousand Oaks, including a Ventura County deputy. Eight other Democrats have signed AB 18 as co-authors, including Phil Ting and David Chiu of San Francisco, as well as Adrin Nazarian of North Hollywood. The measure calls for a yet-to-be decided excise tax on the sale of handguns and semi-automatic rifles, with the revenue going to the California Violence Intervention and Prevention Grant Program. Last year the program doled out more than $8 million in grants to community organizations in cities such as Los Angeles, Oakland, Richmond, Stockton and Oxnard. Supporters say the firearms sales tax is a great way to pump up the grant program and allow it to expand to more California communities. The bill was introduced Monday and will be assigned to a policy committee when the two-year legislative session officially begins on January 7.